Welcome to our TIM Tools site! There is no substitute for a talented, committed, and resourceful teacher and we are fortunate to have so many wonderful educators on our team. Our goal is inspire and challenge our students to become independent thinkers, responsible citizens, and innovative problem-solvers. Technology is an indispensable tool in the hands of professional educator and can help teachers and students reach new heights. The TIM Tools will help us learn what resources our teachers find most effective and how to best support teaching and learning in our schools. 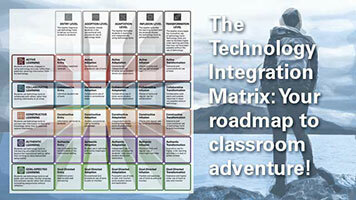 The Technology Integration Matrix (TIM) helps focus classroom technology use on improving learning outcomes for students. TIM provides a common language for describing classroom technology integration that focuses on pedagogy, not on technology. The TIM website contains hundreds of free resources and videos related to the TIM. Over 100,000 pieces of free digital content are available for classroom use. No fees. No ads. No pop-ups. Teachers can explore our thematic Teaching Collections. 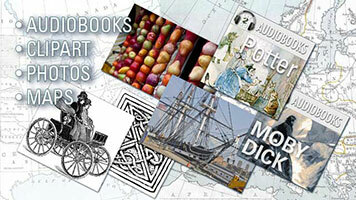 Students can use our collections of audiobooks, clipart, photos, and historic maps in their projects. Visit these and other collections hosted by FCIT at the University of South Florida. 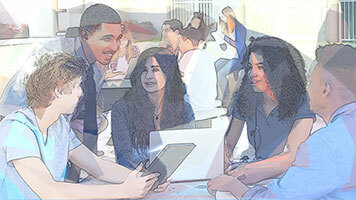 iTeach Professional Learning courses are designed for educators and administrators at all levels. 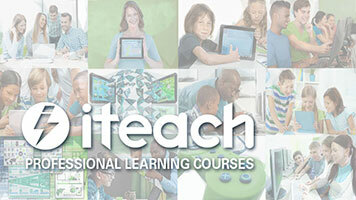 Each four-week iTeach Professional Learning course is interactive and engaging, delivered completely online, and facilitated by an expert in the field. In-depth courses on the TIM and TIM Tools can help you get the most of technology in your classroom!